If DBU owns the item you want, request it by completing the Distance Education Book Request Form. Be sure to provide complete and accurate information when completing the form. Use one form for each item you need. Distance students who check out books in this manner are subject to the same circulation policies as our regular patrons. If you need an article from a journal or magazine owned by the Library, complete the Distance Education Article Request form. We will scan the article and email a PDF copy to you. To make sure you get the information you need, be sure to fill out the form accurately and completely. The Library does not lend printed issues of periodicals. Note: if you need an article from a journal we do NOT own, complete the Interlibrary Loan Article Request form instead. If your search leads you to an article or book NOT owned by DBU’s Library, you can request it through Interlibrary Loan. If you live in Texas, you may be able to find the items you need at a library near you by using your TexShare card. You can apply for a card online, and use it to borrow books from most academic and public libraries in Texas. You are always welcome to use the Library when you visit the campus. 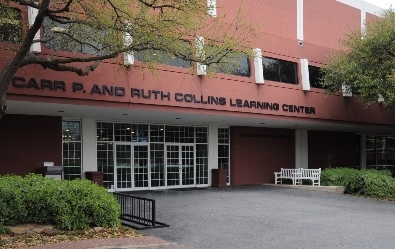 The Library is located on the 1st and 2nd floors of the Collins Learning Center, at the north end of the campus, between the Roberts and Strickland buildings. 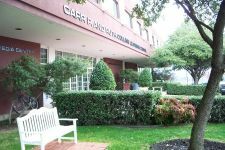 In order to check out materials, you must have a current DBU ID card, which may be obtained in the computer lab on the second floor of our building. Sat. 7:30 a.m. to 6:00 p.m.
during Fall, Winter, or Spring breaks. Summer hours will also vary.